"Manreet Sodhi Someshwar is a gifted writer of great promise. I have a gut feeling we have a new star rising in Punjab's literary horizon. She has an excellent command of English and a sly sense of humour." 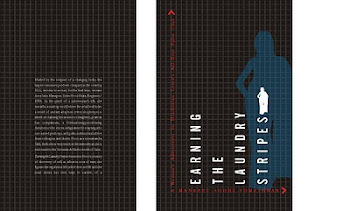 "An enjoyable tale of a sassy girl's headlong race up the corporate ladder." Each day that I jog/walk in Central Park, there is at least one moment when I catch my breath in wonder, pause to take another look, or smile and carry on, the image jogging along with me. A tree of twigs, bare and brown, dotted with wondrously red cherries. A squirrel, its mouth stuffed with a large acorn, scooting up a tree trunk. A swirling eddy of dry pin-oak leaves, like a curtain of confetti I must part to go through. And then I chanced upon this couple. 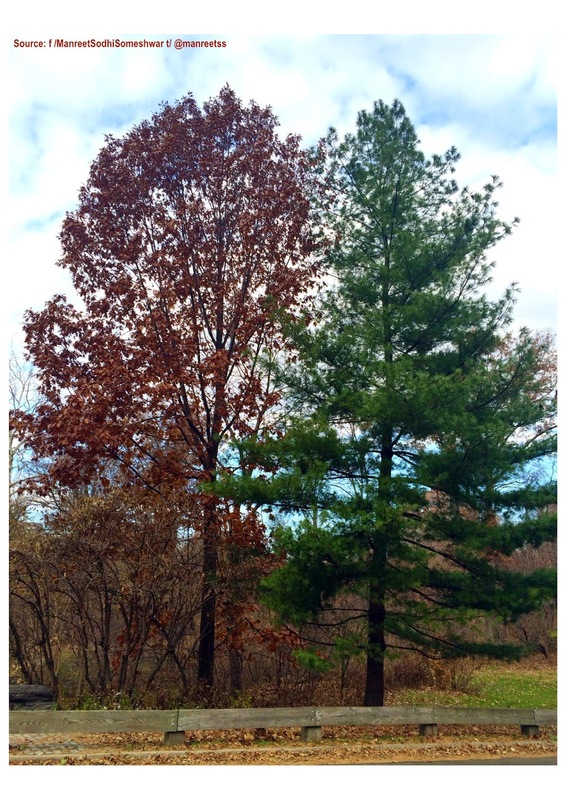 Two trees standing side by side. Same height, similar build, yet different. One is a steadfast green, the other has been changing colours since I started eyeing it. Through winter, the vivid green of one will be a welcome contrast to the bleakness. The other, meanwhile, will shed all pretense and bare itself. And they will still stand, side by side. Same soil, same air, and yet each tree is responding to the surround in its instinctive way. Constancy or Change, nature shows there is no one way to be. Between imminent and permanent, there’s immanent - the quality we are born with. Book 6 of the Huntress Thrillers out now!